If you are a member, click here to login and start a discussion! 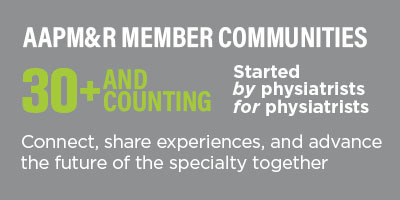 If you are not a member of AAPM&R, visit www.aapmr.org/membership to learn more about membership. PhyzForum is the only online physiatry community that allows you to engage with peers, ask advice, and share experiences. Best of all, PhyzForum offers a variety of options to stay engaged with your community and manage your communication preferences. With our user-friendly platform, you’ll easily be able to participate in discussions to network, collaborate, and exchange best practices with your peers—even through email. Start a conversation today! 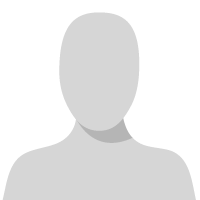 All physiatrist members are automatically enrolled in the "All Physiatrists Member Forum." PhyzForum is what you make it. Log in and discover more than just an online community. Find new ideas to meet practice challenges, exchange ideas and experiences about new health care initiatives, learn about Academy advocacy efforts and educational events, and so much more. PhyzForum Contact Search is one way you can directly connect with member physiatrists. Utilize the search and direct-message peers. Build your PM&R-specific contact list with this easy-to-use directory! A lot is happening in the field of PM&R! Check out the PM&R Corner blog for the latest updates from Member Communities and guest bloggers. Topics will cover a wide-range of content, including changes in health care, new technology, and PM&R best practices. Copyright 2019 AAPM&R. All rights reserved.